Redlight king may be a new name to many people but they're about to make a whole load of new fans. They're on tour with Shinedown in October so will be playing nine UK dates with them and judging by this single then assuming they're as good live as they are on CD then they're likely to go down extremely well and come away with plenty of new fans. Movie fans may know one of their songs - ‘Comeback’ which was the second single/video from ‘The Avengers Assemble’ soundtrack. Their debut album was released last year in the US and is finally getting a UK release through Spinefarm. This is the first single to be taken from the album, and it sounds pretty damn impressive. It's definitely a radio-friendly song that deserves to get plenty of airplay. It's a great rock track with a great tune, great lyrics and performed superbly. Like Nickelback they're likely to appeal to a wide range of people - both traditional rock fans and people who wouldnt necessarily think of themselves as rock fans. Having listened to this song quite a few times, I can't wait to hear the album, and to see them play live supporting Shinedown. 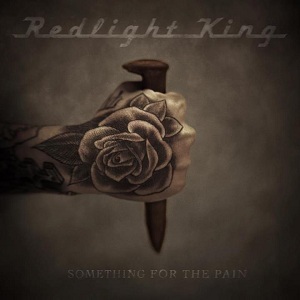 Redlight King are a band you should definitely check out.